A complete cheat today because this is not palm at all but is called the ponytail palm because, when young, it is a single tuft of long, grassy foliage. While very young it develops a swollen base from which the stem narrows as it ages and, if the top is cut off, it branches and can be grown in many different shapes and forms. Because of this it is popular landscaping plant in frost-free places and often sold as a houseplant. 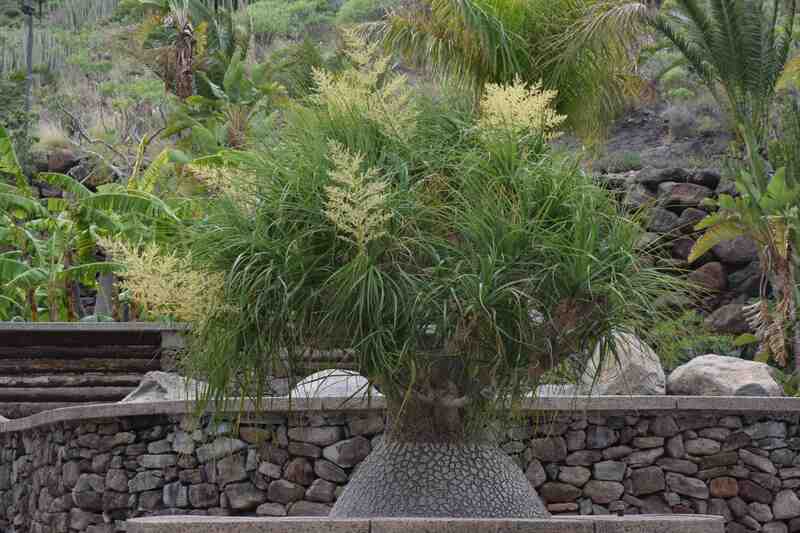 It is easy to cultivate outside or under glass and it is very tolerant of drought. The swollen stem base is the way the plant survives in drought in the wild. Beaucarnea recurvata is native to eastern Mexico and used to be known as Nolina. It is in the asparagus family, formerly in the lily family. The long, narrow leaves can reach 2m in length and mature plants flower freely with masses of creamy white, small blooms. The plants can reach 3m or more high, though a plant will be very old to reach that size. 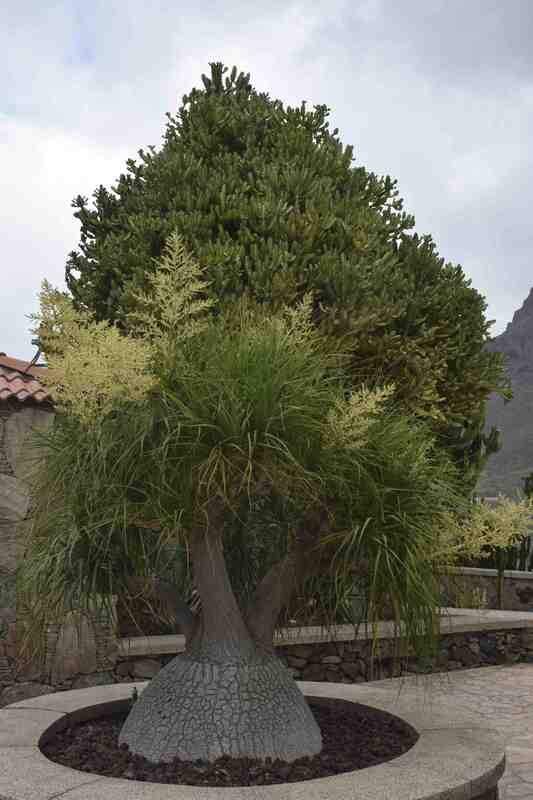 It is a plant of dry, sunny places where temperatures reach 30c and drop to 10c and it is a very easy houseplant if it is not overwatered though you would have to find plenty of room to accommodate this fine specimen in Gran Canaria.